RIO GRANDE — As the Emancipation Celebration Weekend draws nearer to the weekend of Sept. 16-17, a Saint Albans, W.Va., pastor will be giving the Sunday morning sermon at Bob Evans Farm. Reverend Dr. Michael A. Poke, Sr. of St. Albans, is the senior pastor at Saint Paul Missionary Baptist Church. He was born in Kansas City, Missouri, in 1960. He received his elementary and secondary education in the Kansas City, Missouri, Public School District. Poke’s higher education includes a Bachelor of Science degree in Social Psychology from Park College, Parkville, Missouri; a graduate of Central Baptist Theological Seminary, Kansas City, Kansas; earning a Master of Divinity and a Master of Arts in Religious Studies. In 2005, Poke received his Doctorate in Ministry (D. Min.) from United Theological Seminary in Dayton. Upon graduation from seminary, Reverend Poke served as an assistant to the pastor at Metropolitan Missionary Baptist Church in Kansas City, training under the leadership of the Reverend Dr. Wallace S. Hartsfield. He served as a teacher in the Sunday School Department, member of the Christian Workers Ministry and was Minister of the Children’s Church. 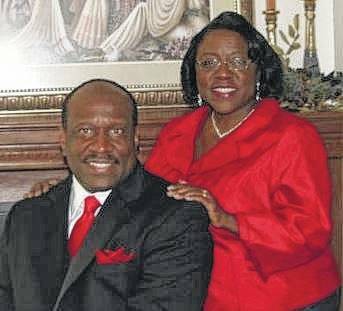 In June 2001, Poke felt God directed him to move from his home in Kansas City to accept his first assignment as a full-time pastor at Saint Paul Missionary Baptist Church in Saint Albans. He was installed there on July 15, 2001, and continues to bring his gifts and skills to the church community. Colleagues say he displays a shepherd’s heart in his counseling and pastoral care of his Saint Paul Baptist community, especially the sick-and-shut-in and ministering to the elderly. Colleagues say his ministry leadership style is that of a servant leader and he empowers others to do the work of God. Colleagues say Poke is a spiritual leader committed to the service of God and humanity. Poke’s wife, Mary, works alongside him in the ministry at St. Paul Baptist. They are the proud parents of one son, Michael Jr., and a granddaughter, Trinity.